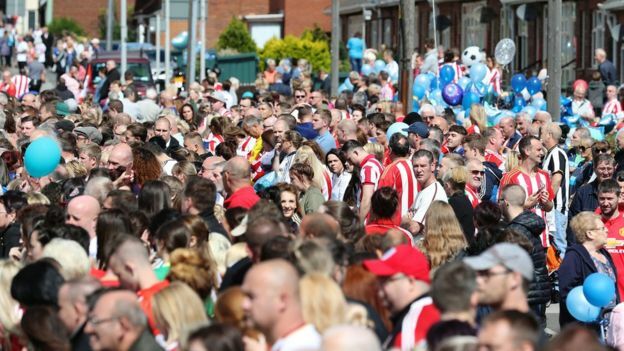 Thousands of mourners have lined the streets of Bradley Lowery's home town for his funeral. 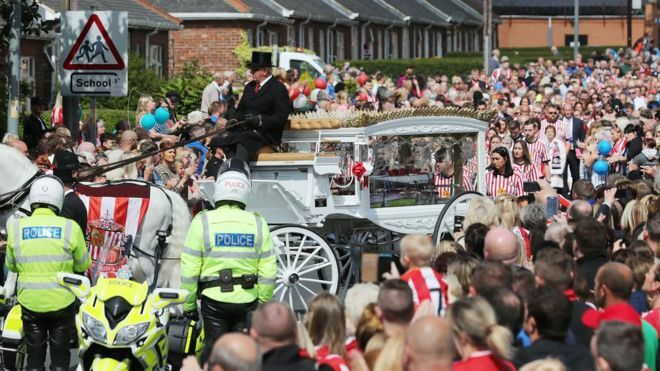 The six-year-old Sunderland fan, from Blackhall Colliery, County Durham, died on Friday following a cancer fight. 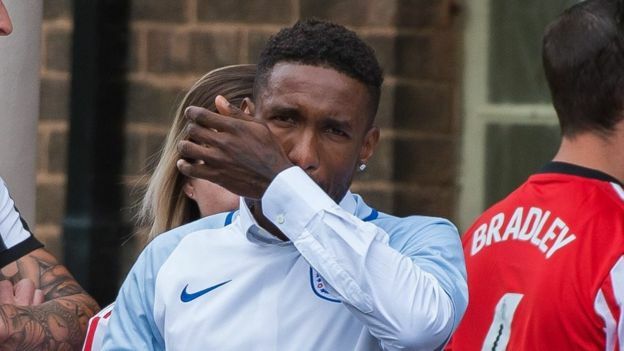 Footballer Jermain Defoe, who forged a strong bond with Bradley, joined his family in the cortege. 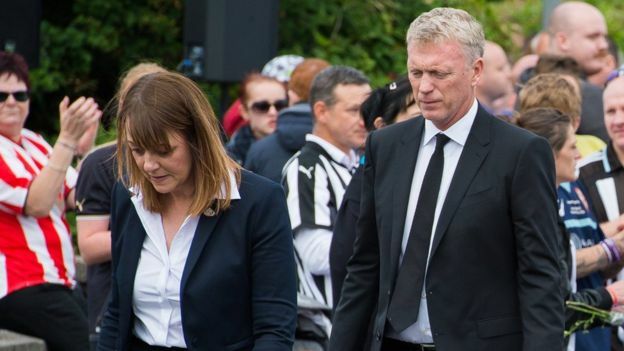 The service, held at St Joseph's Church in the village, paid tribute to an "incredible little boy with a huge personality". Roads leading to the church were decked with balloons and tributes. 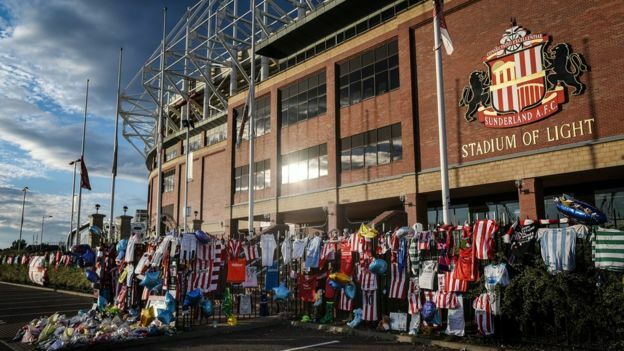 Messages and mementos were also left outside Sunderland's Stadium of Light. Speakers broadcast the funeral service to the crowds outside the church who were unable to make it inside. 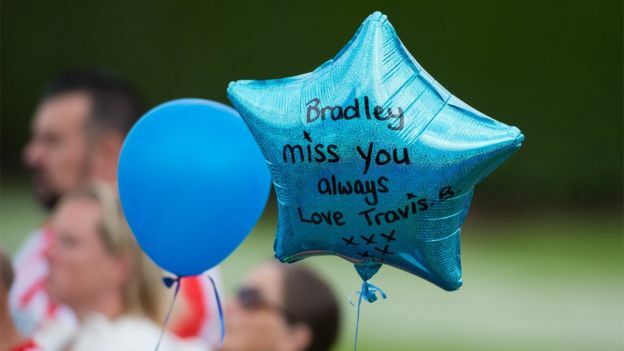 Bradley's family wore football shirts in honour of his love of the sport. 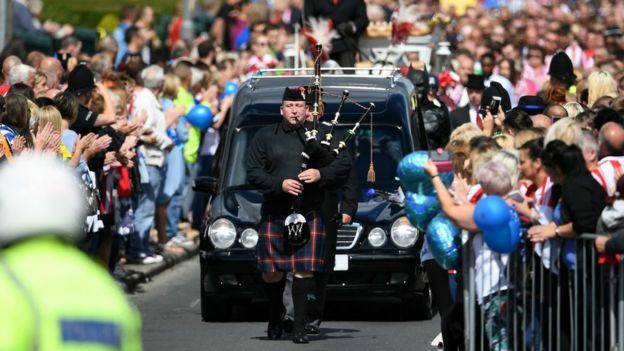 His mother, Gemma, told the congregation: "He had a smile so big and beautiful it could brighten any room. 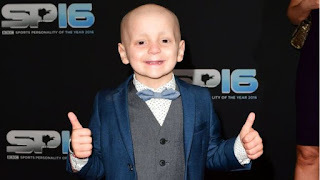 A real brave superhero, he left us all too soon. "He touched the hearts of many - the most inspirational boy. A loving, caring son and brother - a beautiful star. "Although your time with us was short, you must have a job to do in heaven with the angels as God has chosen you. "For now my baby we'll say goodbye. We'll meet again our superhero high up in the sky."